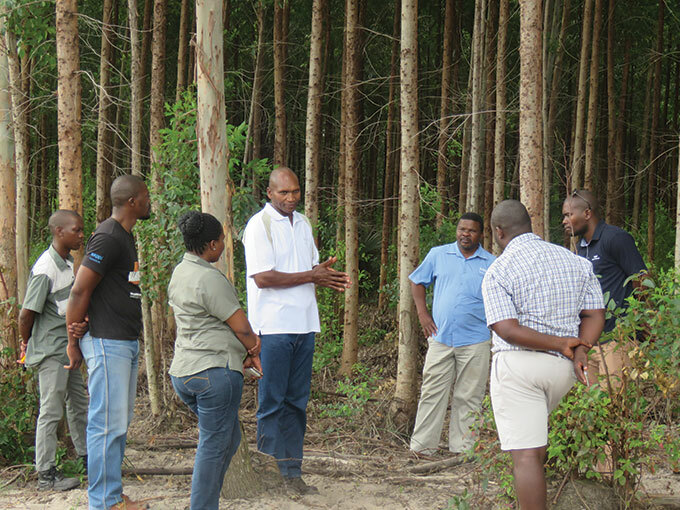 Sappi Khulisa Manager Mbeko Nkosana (centre, with white shirt) in discussion with his forestry team. 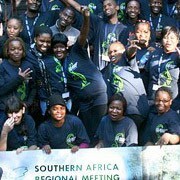 Sappi was one of the early pioneers of forestry outgrower programmes through Project Grow, which started way back in 1983. Project Grow introduced hundreds of small-scale farmers living on tribal land, from northern Zululand through to southern KZN and the Eastern Cape, to timber farming, providing seedlings and support in return for buying their timber. 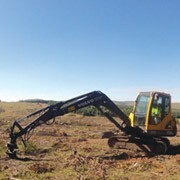 A huge escalation in the volumes of timber sourced from the small-scale growers and community-owned land reform forestry operations over the past few years has motivated the Sappi team to take a fresh look at the programme, which has now been taken to a whole new level with the launch of Sappi Khulisa. Sappi Khulisa takes a more pro-active, developmental approach that aims to uplift the forestry value chain that operates in these areas to the point where they become sustainable, growing businesses operating within the formal economy. Whereas Project Grow focused solely on the growers, Sappi Khulisa focuses on the whole value chain including growers and the contractors that service them. 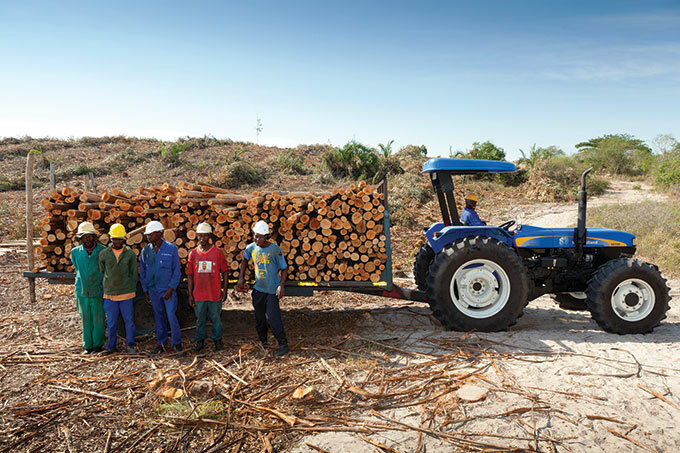 The small-scale growers and community owned land reform forestry projects currently supply in excess of 480 000 tonnes of hardwood timber to the woodyards at Sappi-Saiccor every year. “It’s no longer a CSI project, it’s part of our core business. We need to guarantee the volumes of good quality timber that meets our specs over the long term,” commented Sappi’s Development Manager, Dutliff Smith. Sappi Khulisa hopes to secure and increase this supply, but equally importantly, to help turn these small-scale growers and their contractors into more self-reliant, sustainable timber businesses, in the process. The growers and contractors are ready and willing to take the step up, says newly-appointed Sappi Khulisa manager, Mbeko Nkosana. “Many of them are on their second or third rotation, so they understand forestry, they have seen the benefits, and they are hungry to grow their businesses,” he says. Freshly harvested small-scale grower timber heading for the mill. At the same time he has noticed a growing interest from people not currently engaged in forestry, who have seen the success of the small-scale growers, notably from the younger generation who in the past have shunned forestry believing it be old fashioned and a dead end. With over 4 000 small scale growers and 63 land reform forestry projects on their books, Sappi Khulisa is also about introducing new, smart systems to facilitate better levels of management and service. Forestry app: A forestry app has been developed that streamlines the way Sappi foresters interact with the small-scale growers. All the data relating to growers and their plantations, GPS co-ordinates, timber deliveries, jobbing instructions etc is captured at source. With the app, payments for timber delivered is quick and easy. At the end of the day the app facilitates a better, smarter service. 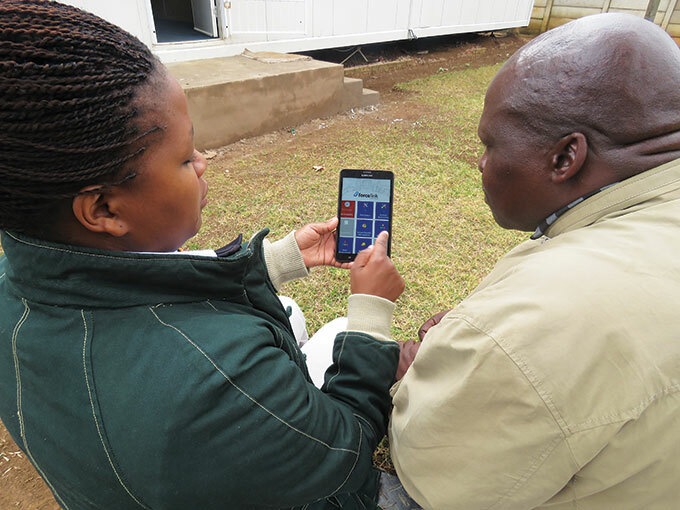 Angel Jili shows small grower Baba Nxele how to use the Forestry App. Training: 13 training modules have been developed specifically for the small-scale growers and contractors. Training covers all aspects of forestry, including the core operational skills as well as safety, legal compliance and running a business. Diversifying: The Sappi team is partnering with other institutions such as Cedara Agricultural College, to provide the growers with the tools to expand their farming activities so that they can have additional sources of income. This is crucial for timber farmers who must wait seven or eight years between timber harvests for a return on their investment. 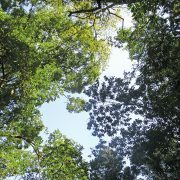 Private commercial farmers are also assisting the timber farmers to diversify their crops – and their cashflow. 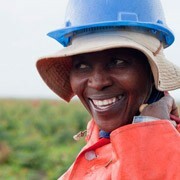 Associations: With over 4 000 growers out there, Sappi foresters cannot be expected to interact with every one individually, so they are facilitating the formation of local associations so that growers and contractors can pool their resources and expertise and help each other to become more self-reliant. Mbeko is fully aware of the scale of the challenge that Sappi Khulisa faces to achieve its broad, developmental aims. “This thing is too big for one company to achieve on its own, so we are working hard to establish partnerships with stakeholders, including government, to unlock resources and expertise that will enable the small-scale tree farmers to grow and develop,” he concluded. The Sappi team is also engaging with various stakeholders to address some of the perennial issues that affect the small-scale growers operating in tribal areas, e.g. water use permits and certification. 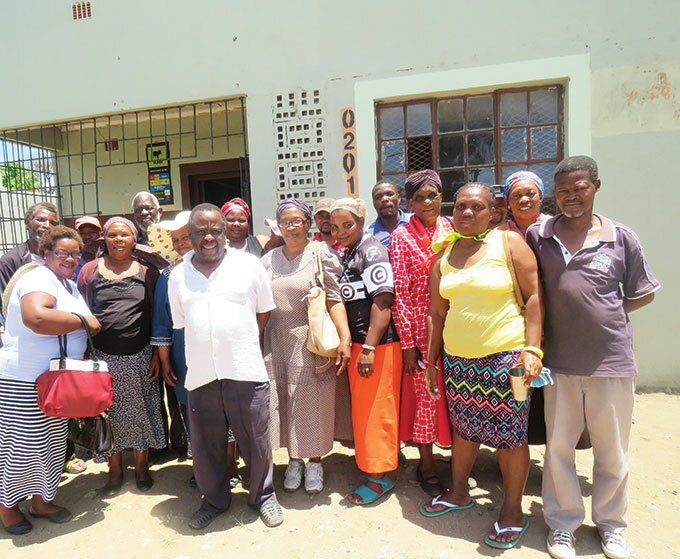 Small-scale growers after a meeting with Sappi Khulisa foresters in Zululand..
• Project Grow started in 1983 with three growers managing eight hectares. • Currently comprises more than 4 000 growers managing 27 000 hectares, from Manguzi in Northern Zululand to Lusikisiki in the Eastern Cape. 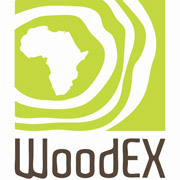 • Currently assisting 63 land reform/restitution projects with managing their plantations. 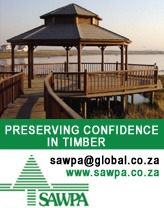 • Since 1995 Sappi has purchased 3.8m tons of timber to the value of R2.1bn from small growers.